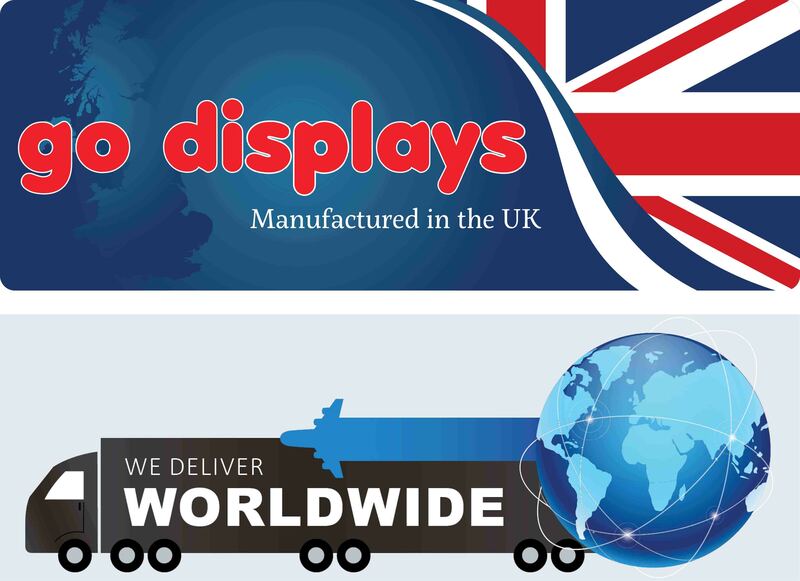 Go Displays have been manufacturing exhibition stands and partition screens for over 40 years. Based in Peterborough, Cambridgeshire, we tailor make every product to suit the needs and requirements of our customers. From the initial design to the finishing touches, each product we manufacture is designed to be as effective as possible in the space which clients have available. From tight exhibition stands to awkward office layouts, we have manufactured products for a wide variety of industries on behalf of clients across the United Kingdom. As a proud British company, we make sure that our products are designed and manufactured within Great Britain to make the most of the skills and talents of craftsmen based on our shores. Our products have helped British companies to display their brand, products and services in both the United Kingdom as well as abroad in a variety of different industries. We employ over 35 people from the local area who help to ensure that companies are equipped with high quality Exhibition Stands and Office Screens exactly when they need it. Being able to manufacture all of our products from our premises allows us to create each order to specification, ensuring that our customers receive exactly what they need. It also means that we can ensure that only high quality materials are used to create our Exhibition Stands and Office Screens. Throughout the manufacturing process, each product undergoes extensive quality assurance to ensure that everything we dispatch meets our high standards. This is why we give the seal of approval to all products we manufacture by providing the manufacturer's guarantee. Cutting out the middle man of suppliers allows us to streamline the production process and make each product as cost effective as possible. Purchasing components directly from other UK manufacturers enables us to ensure the structural integrity of each product so that they are guaranteed to last for years to come.